Over the years, the way of celebarating Indian Weddings & the traditional way of serving food in Indian Restaurants has become immensely popular that all around the globe wherever you come across Indian Catering in Hotels, Banquets, Restaurants you surely will find extensive usage of Copper Chafing Dishes. 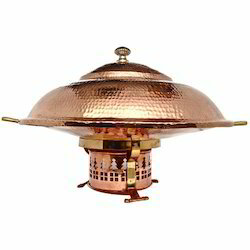 We present a very extensive range of Copper Chafing Dishes that are offered in unique designs yet traditional & in different capacities. 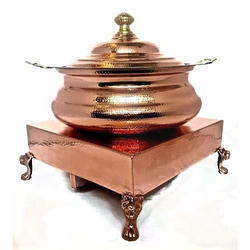 We offer of the finest & comprehensive range of Copper Chafing Dishes which are unique in style, has a class of its own, stands apart from the ordinary. The purity of Copper is 99.9% & Stainless Steels Inserts are of Food Grade Quality. Serving Food in rich & ethnic style has been our Indian Tradition. "ATHITHI DEVO BHAVA" is not just the tag line but as moral values, we have inherited that from our ancestors & would continue to pass on same value to our future generations. We as a company have tried to replicate the same style of serving food as one would imagine the way food service would be during the age of Mughals, Maurya's. We have made an entirely new range of Chafers that look rich, ethnic, as if belonging to our golden era & yet these are maintenance free, does not require any extensive treatment like regular Copper or Brass Chafing Dishes requires. They can just be easily washed with lukewarm soapy water with soft foam application. The finest of Chafing Dishes which can take you to the ages of Mughal's, Maurya's & Rajwara are made by us, using quality of high standards, we offer these chafing dishes in different designs & in different sizes. Surely, these are a must range of chafing dishes for restaurants, banquets & catering groups that want to create tradition Indian way of serving world class cuisine. The way food is catered & displayed has total taken a new dimension today. The obsolete way of Catering in regular models are now thing of the past. 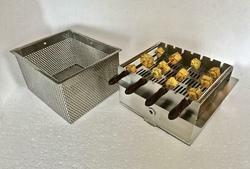 We have come up with an innvative way of serving Food whose mechanism is hydraulically driven. 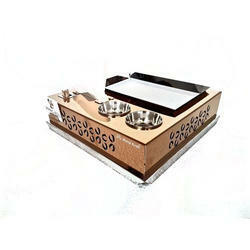 We offer them in Round Square & Rectangular models with stae of the art designs. Finish is impeccable. Looks are stunning. What more one can ask from Food Service. 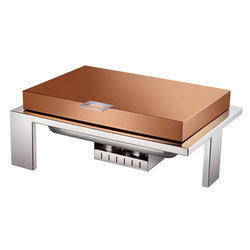 Chafing Dishes are one of the most admired forms of serving food in style. Whether it is purely Indian Food or English Buffet, we offer Chafing Dishes for all kinds of food serving events. 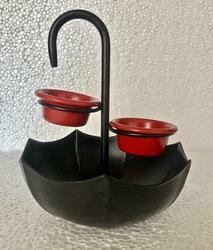 The style, design, appearance of the serving dish is of prime importance. We offer a comprehensive range of Chafing Dishes, which just made to perfection & suited to the theme of the event. We are backed by our pool of dedicated and experienced professionals in designing and manufacturing Chafing Dishes that comprises- Stainless Steel Chafing dishes in different designs, styles & capacities. Designed to perfection, these reflect the innovative craftsmanship of our designers and are available in various shapes and designs. 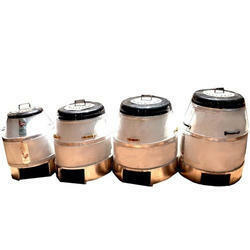 Fabricated using best quality metals, these are suitable for keeping food warm and moist for parties & functions. 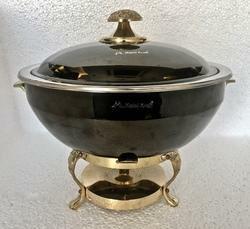 Chafing Dishes have changed the way food is served. 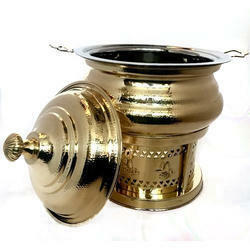 The way of serving food in authentic Indian style is to serve them in Ceramic Chafing Dish. 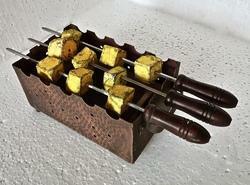 The popular Indian Restaurant & Catering chain across the world still use the way of serving food in this style. 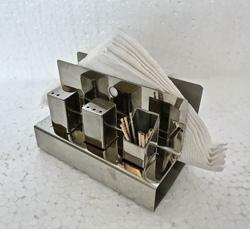 These are popularly available in the shapes of Lagans, Handis & Patilies. The Patilis are available in different designs & colors. All dishes have watyer pans made in stainless steel which makes them practicable to use. We offer wide array of products belonging to breakfast buffets that are widely used by Hotels, Restaurants, Coffee Shops, Cake & Pastry Shops, Sweet Shops, Confectioners, Fast food Outlets. They help in making food service neat & clean thereby offering easy maneuverability. 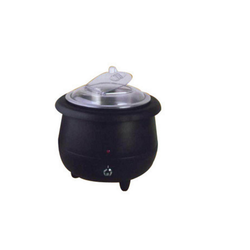 We offer all essential Kitchen Equipments & appliances to suit daily kitchen needs. All items are imported from companies who have decent track record of their sales & are selling theior products for past several years. Our exclusive range of Food Displays & Presentation items are available in various shapes & designs in form of Platters, Beverage Dispensers, Show plates. They can virtually serve anything from Fresh Fruits, Salads, Pizza, Pastas, Breads, liquids, snacks, spices. We offer world class solutions to serve Soups, Curries & hot beverages which retain the tempertaure of liquids to a desired level. 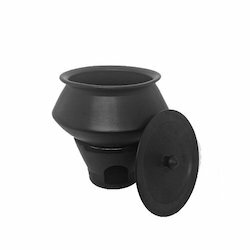 Soup Warmers can run electically in Soup Hot Pots while Soup Stations can be controlled both electically & manual heating. Our exclusive steel serveware, decorative serveware, copper serveware, brass serveware, etc., which are meticulously designed and are offered in attractive designs, shapes, sizes and finishes. These are widely used in snacks bar, banquets, celebrations and everyday events and are lightweight, scratch proof, easily washable and are tested for strength, thickness, and stain resistance. Menu Stands & Display Information is absolutely necessary to bring awareness about the product & for putting across right information Metal Kraft offer various ways to disseminate this information in the form Tent Card Holders, Buffet Menu Stands, Table Number Stands, Display Stands, Newspaper Stands, Bullet Name Tags. 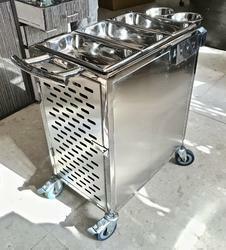 Our sophisticated machinery and innovative technologies enable us in the effective production of trolleys including serving trolley, bar trolley, snacks trolley, dish trolley, soup trolley, fruit salad trolley and others. These are fabricated using premium grade of raw material and are in high demand all across the globe. After a long time practiced by Rishis, Munis, Ayurveda & Modern science, it is now an established fact that Copper is much useful & slightly soluble in water. Copper inhibits the growth of bacteria, viruses & fungi, clears the waste attached with intestinal walls & keeps the stomach free from stomach diseases, regulates cardiac disorders thereby regulating many other orders of the body. Copper is a soul of life. 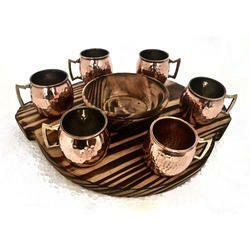 We bring forth our clients an exclusive and enthralling range of copper table wares. 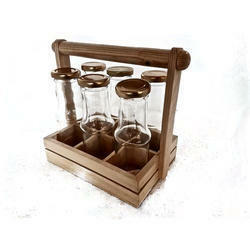 The beautiful collection of tablewares is designed to suit the need of the clients. 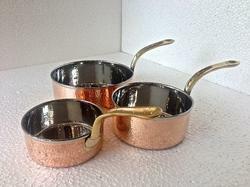 Copper tablewares are designed by experienced and diligent employees in varied shapes, sizes and designs. 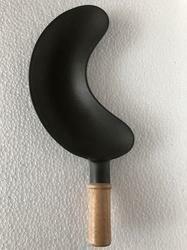 We also customize our the products on the basis of glossy finish. These can be availed at highly competitive prices. 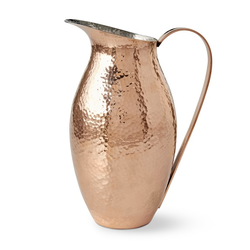 Our wide and diverse range of copper tableware includes Copper Steel Curry Dishes, Copper Water Pitcher Hammered, Copper Angithi/Sigri, Copper Steel Handi, Copper Steel Balti, Copper Glass & Jug, Pickle Stand, Copper Steel Ice Cream Cup and many more. Our ever expanding range in Copper is not just limited to run of the mill stuff. We offer unique concepts in Copper Tableware which make the atmosphere of the workplace look awesome. The designing, theme & ideas that run behind, make them world class products. The most extravagant way to serve food comes in our rich ethnic heritage tableware collection of Smokey Finished Copper hammered Tablewares. We offer top class styles, shapes & designs in these dishes. The best part of smokey finished copper tableware is that it requires minimal maintenance & looks more rich & beautiful. Innovative and attractive designs of our stainless steel hammered tablewares has made us the first choice of the customers. Our range enables one to experience the purity of Indian dining. We do not believe in compromising in terms of quality and looks thus avail the range that is made from best quality, non-corrosive material. 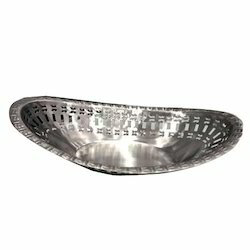 Stainless Steel Hammered Tablewares adds stars to the presentation of the food and also the dining table. The wide gamut of products that we offer includes SS Hammered Handi, SS Hammered Karahi, SS Hammered & Matte Finished Jugs, Eye Shaped Snacks/Salad Platters, Tea Set 4cc Hammered, Hammered Dinnerware, and many more. The trend of Stainless Steel Hammered Tableware has become so popular, owing to its low maintenance, beautiful looks & versatility. 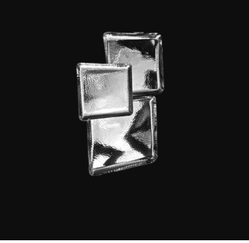 We offer a wide array of products in Hammered Finish. We offering a fantastic range of Stainless Steel Platters in Hammered Finish which are extensively used for Table Service, Buffets, Fine Dining, Home use for serving all styles of veg & non veg starters. Our range of platters surely makes the food look beautiful & more mouth watering. 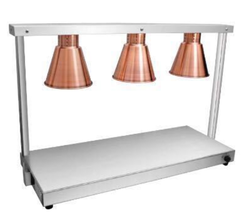 Our wide industrial expertise helps us in manufacturing chic and versatile table wares including steel table wares, decorative table wares, copper table wares, stainless steel table wares, copper steel tablewares, ss tableware hammered finish, napkin stand, bread basket, dim sum basket and others. These are meticulously designed by our adept professionals and are tough, practical and beautifully designed that reflect traditional Indian art and craftsmanship. 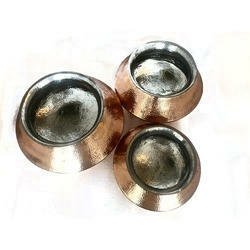 We make extensive range of traditional Thali sets which are so often used in our homes. To render that same home kind of finish to the exclusive events Indian Catering Groups now a days use same Thali Set Up to Special Dining Guests. The Thali Sets consists of Matching Vegetable Bowls, Chatni Bowls, Rice Bowls, Sweet Dish Bowls, Glass, Spoon & Forks with the Thaii. 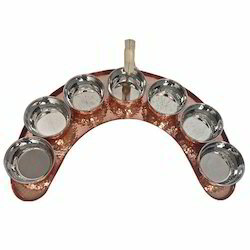 We offer them as Brass Maharaja Thali Set, Copper Maharaja Thali Set, Golden Thali Set for Sajangoat, SS hammered Thali Set, Delux Thali set, Mickey Mouse Thali Set. 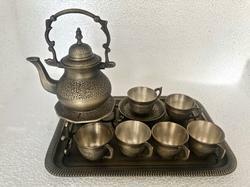 We offer one of the finest range fo Antique Finished Tablewares which constitues Tea Sets, Lemon Sets, Individual Tea Pots, Punch Bowls and lot more. These just takes you to an era of Mughals, Mauryas & our rich heritage kingdoms of India where food service had a special emphasis & hospitality was amazing. Now a days sizzling snacks have become much in demand for serving starters & so has the need to serve them in appropriate way. 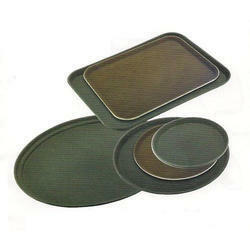 We design Sizzlers in different shapes which includes Round, Oblong, Rectangular, Square, Triangular, Fish shape & what not. same way serving Pizzas on wooden bases has catched up, so we also make Wooden Pizza bases in different sizes for small medium & large pizzas in 8" 10" & 12" with & without handles. We employ best quality of sheesham wood for an increased shelf life of wooden bases. 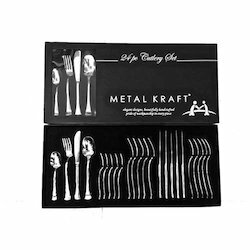 Over the years, we have catering to the requirement of our esteemed clients manufacturing and supplying steel kitchen cutlery, professional kitchen cutlery, home kitchen cutlery and commercial kitchen cutlery including- Venus Brite, Venus Hammered, Kings, Elegant Matte and others. These are fabricated using best grade of raw material and are durable, corrosion resistant, abrasion resistant and highly attractive with excellent finish and lustrous shine. 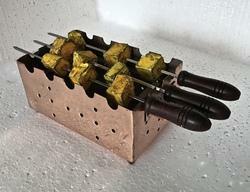 We offer a very comprehensive range of Tongs which have various applications. 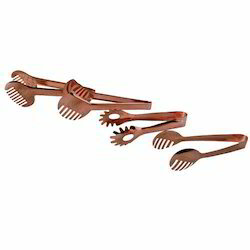 These are termed as per their usage with most popular ones known as Utility Tongs, Bread Tong, Pastry Tong, Spehetti Tong, Ice Tong, Serving Tong, Lobster Pick, Chapati Tong, Palm Tong, Smiley Tong, Snacks Tong, Spoon Fork Tong, Salad Tong, Meat Tong, Vada Pav Tong, Idli Tongs etc. 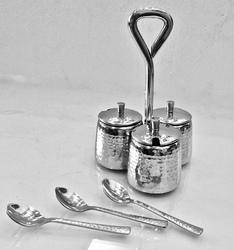 Apart from Tongs, we also offer a variety of gadgets to ease out the serving experience like Salad Servers, Tin Cutters, Ice Cream Scoopers & Ice Cream Cutters etc. 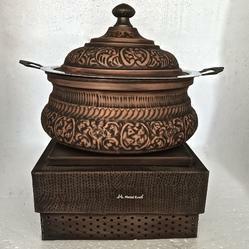 Copper Cooking Pots are best for preparing Mughlai/Hyderabadi Biryani as the Copper Deghra/Copper Sipri/Patili/Deg besides having its food preparation friendly properties have a broad bottom, have tin plated inner surface, a narrow top which helps in retaining & locking the flavor of Biryani. 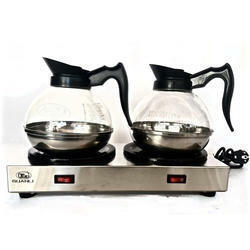 They are available in different sizes & can be customized to one's requirement. When it comes to non veg cooking or even veg, be the dish is lentils (kaali daali/sabut urad daal/black eyed peas) mutton, chicken, rogan josh or biryani, nothing comes as good as copper deghra. The very traditional Indian way of cooking & serving daal, hot curries & non veg dishes comes only through this copper hot pot. These vessels are made out of thick guage which are tin plated from inside & when the daal/meat is cooked on simmering heat, it ensures the richness of flavour & authentic Indian Mughlai taste. They are handmade & can be customized to any size. We offer them in customized sizes with most popular sizes being pictured. We capitalize on our state-if-the-art manufacturing unit fabricating antique and decorative barware that are known for commercial functionality and quality craftsmanship. These modern and antique barware includes store & pour bottle, bar caddy, condiment dispensers, champagne_bucket with stand and others. These are in high demand all across the globe and are offered in customized forms. Lazy Susans/Crystal Lazy susans forms one of the most efficient, reliable, preferred, neat & clean way of serving food & beverages together. All around the world & especially European countries like UK, the Catering industry have been holding events like never before & have given a totally new dimension to the way of serving food & drinks. The partially flushed bowls ensure that while dining it is visible that which of the dishes need replenishing. A segregated food area, a defined placed to keep bowls, beverages & centre piece, all these elements ensure that serving operation remains neat & tidy. On top of that dining arrangement like lazy susan ensures that the people siiting across can communicate properly as it does not block the view of person sitting across. 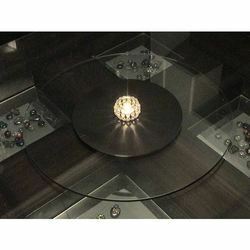 The units depending the dishes required can aptly fit 5' or 6' Round Tables. Surely, the impact, this kind of arrangement leaves on the diner, will be an experience to remember & will give moments to cherish. Table Service forms one of the most extravagant way of serving food. To make the dining experience a memorable one, we offer world class Table Service Equipment in the form of Crystal Karahi Stands. Till now Crystal use to beautify the roof & ceiling of homes & hotels. Now the same luxury if offered by way of food service equipment. 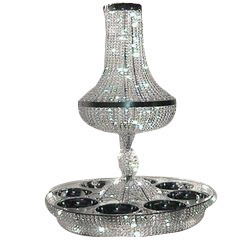 We make revolving Crystal Centrepieces which houses food & drinks at times, thus making the food service operations neat & clean. The units are placed on 5' or 6' Round tables which have 8-10 chair around each table. This form of food service is very popular in UK & Central Europe. In india, this is often termed as service of main table, where Bride, Grooom & their close families sit together & have a dinner of life time. Our cutting edge technology enables us in the efficient production of our Karahi Stands including- elegant karahi stands, ethnic karachi stands and others. 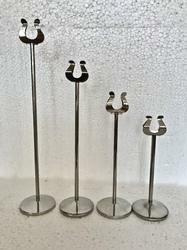 These karahi stands are available in various designs, sizes, coatings, and carry ethic touch to the ambience of party. 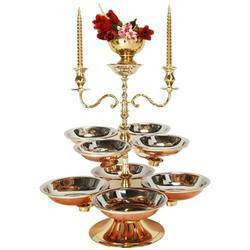 Our stands are suitable for keeping the food hot and are available with candelabra that render an elegant appeal. The Commercial Tandoors including Gas Tandoor, SS Square Tandoor, Drum Tandoor, SS Round Tandoor, Stainless Steel Tandoor and Clay tandoor are made from best grade of raw material. These are widely used in restaurants & hotels for preparing delicious tandoori cuisines such as naan, pizzas, cakes, biscuit, tandoori chicken, fish and tandoori rotis. 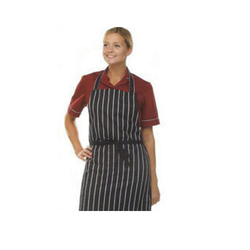 To meet the growing demand for luxurious and upscale hotel supplies, we manufacture and export a variety of Hotel Supplies, Hotel Uniform and Chef Uniform as per the specific needs of the clients. They are available at affordable prices. The uniforms are made out of breathable fabrics in Polyester Cotton, Polyester Viscose or 100% Cotton as the requirements.